Let us tell you a tale. A tale of girls who arise from their slumber, in slinky slip dresses with a ruffled flirty kick at the hemline. They’ll shrug on oversized cardigans in matching soft oyster tones, or inky navy for a darker turn. Or perhaps they’re languid in a pale liquid gold three-piece set done the alice McCALL way: a twist-front bralet with a relaxed coat and pants. These are time-traveller girls – looking to the past, and the future, back again, and all for the now! 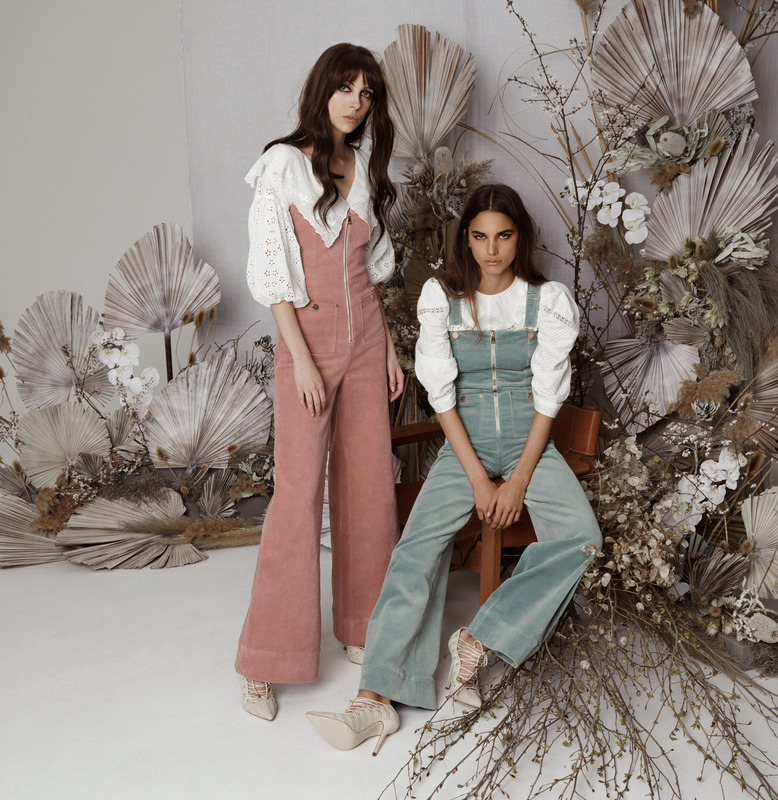 They’re in their Victoriana white high waisted laces, and cut-work embroidered pieces that beat back to the original alice McCALL girl – that retro ‘70s feel. And they can look ahead to the future with iridescent metallic foiled florals – pretty and cyber.